Housing First - the rest will follow short film that chronicles one Fredericton' woman's journey through chronic illness, social isolation and homeless to a new beginning with Housing First. Housing First begins with access to safe, affordable housing but is really rooted in community based, recovery-oriented support services. Please check out Sandy's story. ​2) create actionable data on health and housing needs of individuals experiencing homelessness in order to improve coordination and access to resources for our community’s most vulnerable. ​Initial findings from the Count show that a minimum of 50 people experienced homelessness on the night of February 21st in Fredericton in our shelters, on our streets and in transitional shelters. Broader demographics, service need and wellness information were collected from 71 individuals experiencing chronic and episodic homelessness: this data is critical in informing improved coordination of services and resources. ​​This Count is an important step in our efforts to move from managing homelessness to ending homelessness in Fredericton. Info gathered from these surveys will be helpful in understanding the big picture of need so that we can plan and prioritize resources and educate the broader community. 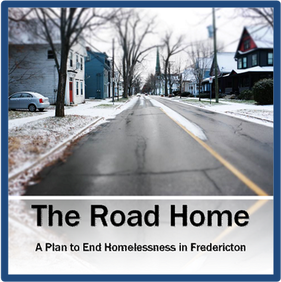 This Count also launches Fredericton’s engagement in the 20,000 Homes Campaign, a national movement to provide housing and supports for those impacted by sustained, enduring homelessness. 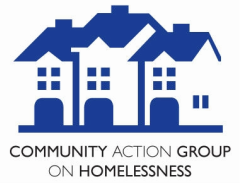 The Community Action Group on Homelessness has published local & provincial report cards on homelessness over the past years.